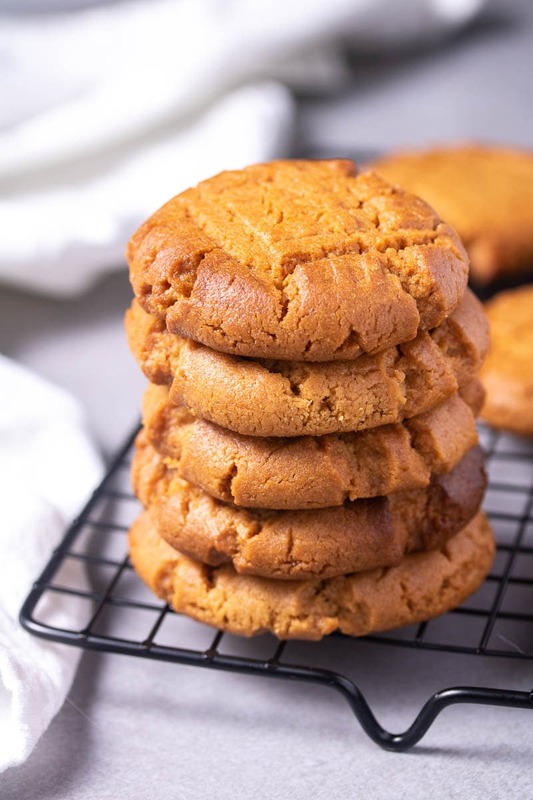 These sugar-free and low-carb peanut butter cookies are a great healthy treat. Not only are they delicious but they are also made using just 5 ingredients! 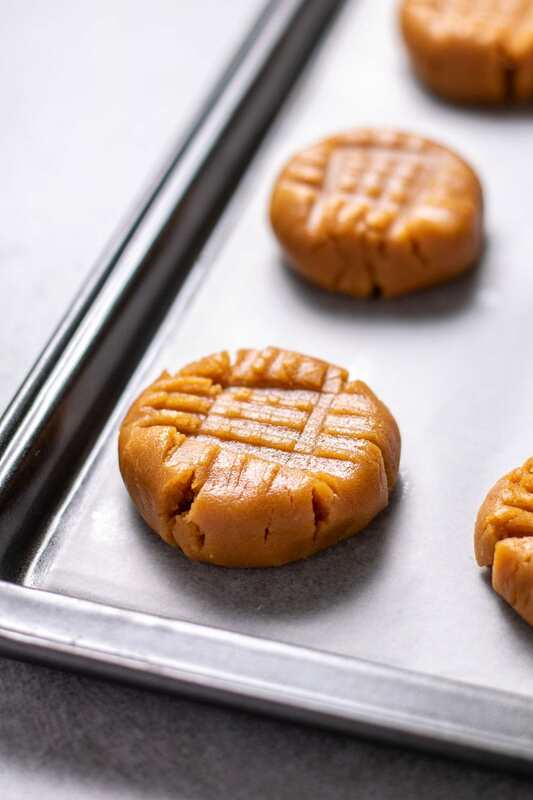 Cookies are always a delicious treat, and these low-carb peanut butter cookies are even better because you can eat more than one without overloading on sugar. They are in fact completely sugar-free and only have 4 grams of carbs (mostly fiber) per cookie! 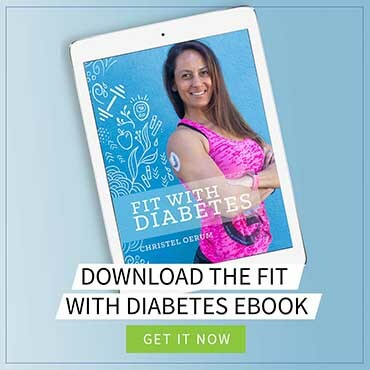 This makes them suitable for even a ketogenic diet! They also come together in just one bowl using 5 simple ingredients. No fancy kitchen equipment needed. You can make these cookies at the start of the week and store them for a morning treat or make them for friends and family. They will be amazed at how easy and tasty low-carb baking can be! 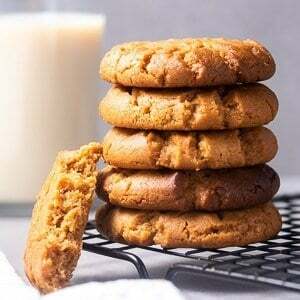 How to make low-carb peanut butter cookies? Step 1: Grind your granulated sweetener into powder using a high-speed blender or Nutribullet and set aside. Note: This may not be necessary if you use a fine powdery sweetener like Stevia but is highly recommended if you use erythritol. Step 2: Add all of the ingredients into a medium sized mixing bowl and combine until a smooth glossy dough forms. Step 3: Form the dough into balls and place on your prepared cookie tray, continue until all the dough has been used. It will be enough dough to make 12 – 14 cookies depending on the size you prefer. Step 4: Press the cookies down with a fork and bake for 12 – 15 minutes until golden and baked through. Step 5: Cool on the cookie tray for 15 minutes, remove and allow to cool on a cooling rack for a further 15 minutes. Tip: The cooling takes a little longer as this is a cookie recipe that uses no flour so the longer cooling time allows the cookies to firm up and not fall apart when you want to enjoy them. Add in some sugar-free chocolate chips to give the recipe some chocolate goodness. You can also melt some sugar-free dark chocolate and half dip the cookies in it once they have cooled down. This adds a whole new layer of deliciousness to these cookies. Use crunchy peanut butter instead of smooth to give your cookies a crunchy texture. You can actually use a number of other nut butters if you want to. Cashew and almond butter would also work for this recipe. The peanut butter gives the recipe the most taste out of these though. 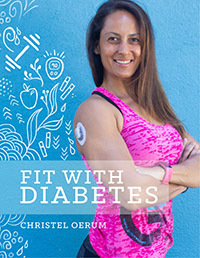 You can also read this roundup I created of 10 easy diabetic desserts for even more great recipe ideas. 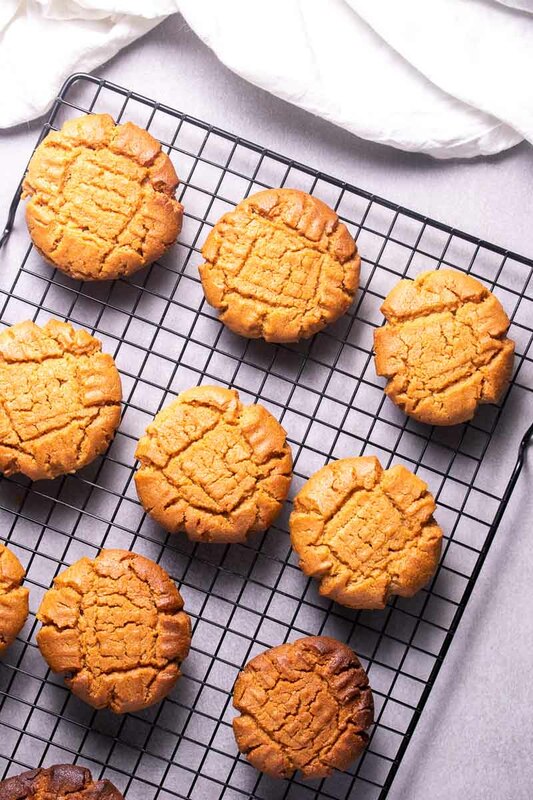 When you’ve made yourself some of these low-carb peanut butter cookies, please don’t forget to let me know how you liked them and rate the recipe in the comments below! 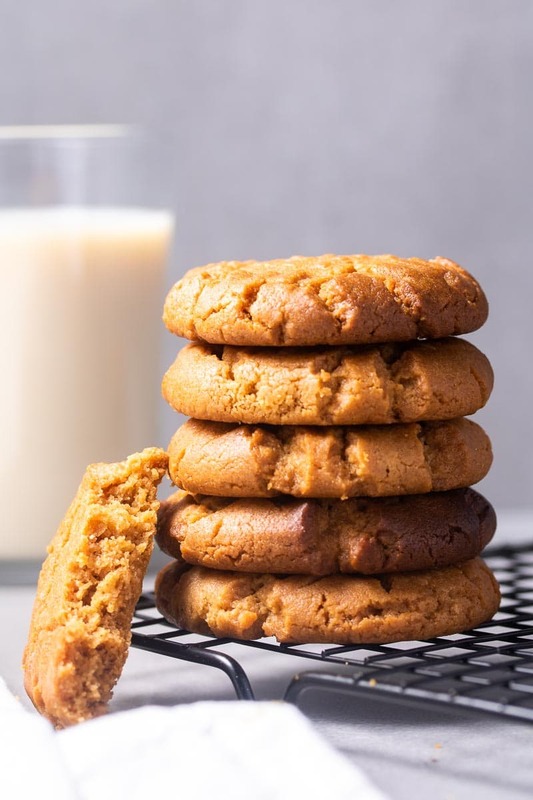 These low-carb peanut butter cookies are a great healthy treat, not only are they delicious but they also are made in one bowl using just 5 ingredients! Preheat oven to 350F (180°C) and line a cookie tray with baking paper. Set aside. Add the erythritol to a Nutribullet or blender and blend until powdered. Set aside. 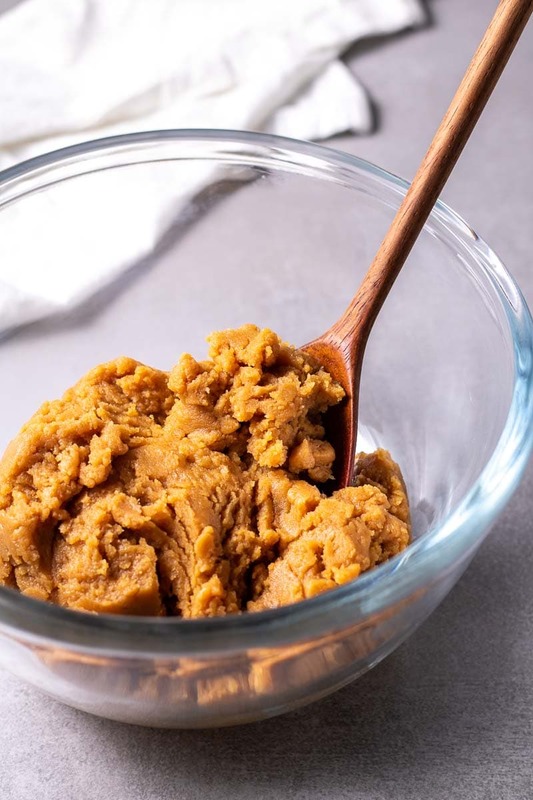 Add all of the ingredients for the peanut butter cookies into a mixing bowl and mix until a smooth dough forms. Measure out 2 tbsp. 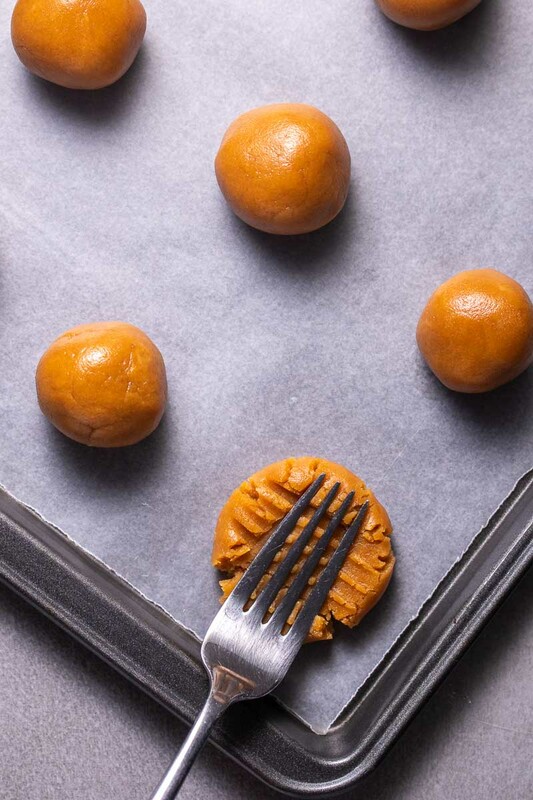 of the dough and roll between your palms to make round balls and place on your cookie tray. Continue until all the dough has been used. Use a fork to press the cookies down and bake for 12 - 15 minutes depending on your oven. Once they have cooked, remove from the oven and allow to cool for 25 minutes on the cookie tray. Don't touch them yet! Once they have cooled on the cookie tray, transfer the peanut butter cookies to a cooling rack and allow to cool for a further 15 minutes. If I use Stevia instead, do I use the same amount as the recipe calls for of erythritol? We’ve assumed that this recipe makes 12 cookies, each being a serving. As for size, I think you’ll get the best idea if you look at the picture where we flatten a cookie with a fork. As you’ll see they are about the length of the teeth of a regular fork.